Anti-Martingale Roulette Betting System | Winning strategy? 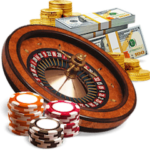 Roulette has been played for over three centuries and in that time many have tried to devise a system that will upset the odds and beat the game. A great many systems have been tried and some will actually offer the gambler opportunities to win, although only in the short term. One of the more famed is the Martingale system and the Anti-Martingale offers a completely opposite approach to this system. 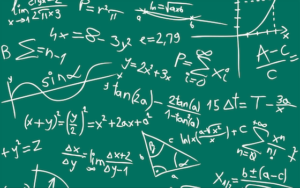 The Martingale system is very straightforward. You’ll place a bet on either red or black (you could also bet on odd/even or 1-18/19-36) with the intention of winning the same amount as the bet. If the bet wins you walk away with the one bet profit. If it loses you double your stake, so if you win this time you’ll still walk away with the one bet profit. You’ll continue to double up until you win. Warning: This sounds foolproof until you consider what happens when you have a losing run. Do you have enough money to continue? Will the casino accept this bet size? Can you afford the next bet of $1280, or the following $2560? Important: With this strategy, you’ll have many small short-term wins, but the time it goes wrong, it will cost you many times your stake. This system takes a completely different approach. Whereas the Martingale system offers a series of small wins by risking a huge amount, this system offers the occasional big win by risking a small amount. Take your pick: When using this system you’ll start with a set number of wins you’d like to achieve in a row when betting on red/black. This might be 3, 4 or 5 wins in a row –you’ll want to set a realistic number. Make your bet: You’ll then place a bet, and if it wins, double the stake. Double up: You’ll double the stake each time you win until you hit your target number. Result: Once you hit your target, stop and pocket your winnings! Using this system, you’ll never be risking a big amount, as you’ll only ever be in a position to lose that initial bet. Occasionally you’ll also have that big win, meaning you’ll walk away with a nice profit. If wanting a lot of table time for your dollar, this could be an ideal system, as there’ll be many occasions when you’ll receive more than one spin for your initial bet. Using this betting system you’ll suffer long losing runs and you could feasibly have entire sessions where you will not win – this can be particularly disheartening. A look at the math behind the system also tells a story. Presume your bet is $10 and aim for four straight wins. The one occasion you win will make you a profit of $150 (you’ll have a return of $160, but your profit is only $150). If playing at a European (one zero) wheel, the chances of winning four times in a row are (18/37)^4 which equates to just 5.6% of the time. This means you’ll win once every 17.85 attempts. So effectively, if you attempt this 18 times, you’ll lose $10 seventeen times, and win $150 once –meaning an overall loss using this system. Keep in mind: If playing at an American roulette (wheel with two zeros), you are at more of a disadvantage. Conclusion – Is Anti-Martingale The Best Betting System? This system is an ideal one for a safety-first approach. Applicable as you’ll want your chips to last a while, but which also offers a chance for a big win. There will be many occasions when you’ll walk away with a profit. However, the long losing runs can be frustrating. Ultimately, any system in roulette will be a losing one in the long term because it’s not possible to beat the house edge! 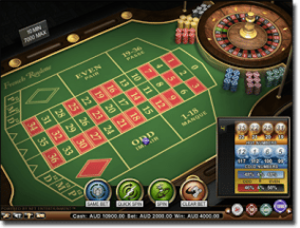 On the other hand, using a roulette betting system can make the experience more enjoyable.